Antimicrobial resistance (AMR) is a significant global health issue. Hospital-based antimicrobial stewardship programs (ASPs) are an important component of a “One Health” approach for addressing AMR. However, the adaptation and implementation of ASPs in low-resource settings often faces multiple barriers, which need to be identified and addressed to ensure program effectiveness. Barriers to ASPs adoption have been identified at the health system and hospital levels, within the organization and interpersonal relationships in wards and departments, and at the individual level of knowledge and perceptions of physicians and other health providers regarding AMR and antimicrobial prescribing practices. Utilizing the Consolidated Framework for Implementation Research (CFIR) is one means of providing a model for adapting ASPs to meet local needs and for recognizing and addressing barriers prior to and during program implementation. Despite challenges, hospital-based ASPs have been successfully introduced in low-resource settings. Key components of successful ASPs include a focus on de-escalation, development of local prescribing guidelines, inclusion of non-medical training such as communication, and engagement and partnering with a broad coalition of institutional and organizational stakeholders throughout the adaptation, evaluation, implementation, and scale-up processes. Linda Kaljee, Tyler Prentiss, and Marcus Zervos declare that they have no conflict of interest. WHO/EMP/IAU. Global Framework for Development and Stewardship to Combat Antimicrobial Resistance: Draft Roadmap. 2017. Available at: http://www.who.int/antimicrobial-resistance/global-action-plan/UpdatedRoadmap-Global-Framework-for-Development-Stewardship-to-combatAMR_2017_11_03.pdf?ua=1 Accessed August 9, 2018. Erin N. O’Leary et al., “Uptake of Antibiotic Stewardship Programs in U.S. Acute Care Hospitals: Findings From the 2015 National Healthcare Safety Network Annual Hospital Survey,” Clin Infect Dis. 2017: https://doi.org/10.1093/cid/cix651. •• Davey P, Marwick CA, Scott CL, Charani E, McNeil K, Brown E, et al. Interventions to improve antibiotic prescribing practices for hospital inpatients. Cochrane Database of Syst Rev. 2017. Issue 2 Art No. : CD003543. https://doi.org/10.1002/14651858.CD003543.pub4. A comprehensive review of randomized controlled trials and non-randomized studies of hospital-based antibiotic stewardship programs. The Pew Charitable Trust. Antibiotic Stewardship Programs Vary in U.S. Hospitals. October 2016. Available at: http://www.pewtrusts.org/-/media/assets/2017/09/arp_antibiotic_stewardship_programs_vary_in_us_hospitals.pdf Accessed August 5, 2018. Fogarty International Center, National Institutes of Health. Frequently Asked Questions About Implementation Science. May 2013. Available at: http://www.fic.nih.gov/News/Events/implementation-science/Pages/faqs.aspx. Accessed September 22, 2014. Om C, Vlieghe E, McLaughlin JC, Daily F, McLaws ML. Antibiotic prescribing practices: a national survey of Cambodian physicians. Am J Infect Control. 201644(10):1144–8. https://doi.org/10.1016/j.ajic.2016.03.062. Pakyz AL, Moczygemba LR, VanderWielen LM, Edmond MB, Stevens MP, Kuzel AJ. Facilitators and barriers to implementing antimicrobial stewardship strategies: results from a qualitative study. Am J Infect Control. 2014:42(10 Suppl): S257–S263. https://doi.org/10.1016/j.ajic.2014.04.023. National Institute of Health. Best Practices for Mixed Methods Research in the Health Sciences. Available at: http://obssr.od.nih.gov/scientific_areas/methodology/mixed_methods_research/section2.aspx Accessed August 9, 2018. World Health Organization. Antimicrobial resistance: Key facts: Available at: http://www.who.int/news-room/fact-sheets/detail/antibiotic-resistance Accessed August 10, 2018. Kaljee L, Pach A, Garrett D, Bajracharya D, Karki K, Khan I. 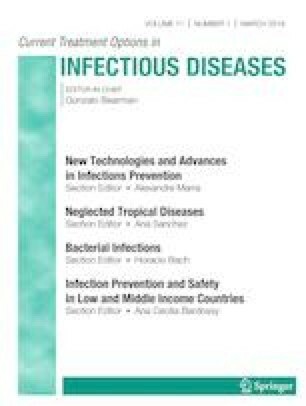 Social and economic burden associated with typhoid fever in Kathmandu and surrounding areas: a qualitative study. J Infect Dis. 2017. https://doi.org/10.1093/infdis/jix122.